This is a very touchy post. Beautiful. Thanks for sharing this. I have always loved your words. and i know you give great cyber hugs too. Lovely thoughts. I am a survivor too, been in remission the past seven years. Life is good. OMG…are you my mirror image? You’ve got to move to the Tulsa, OK metroplex, or I’ve got to consider moving where you are. I FEEL you, girlfriend, not just hear your words. I can’t tell you how huge the smile on my face was when I read this. Thank you for feeling me! I can’t get to Tulsa right now, but come on out here if you can! I relate to this terribly, we have truly become different people, from knowing bloggers on a first name basis, even the anonymous to just saying a silent prayer for them once in a while. Hugs to you too.. Thank you for the hugs. I think back on those early blogging years sometimes. 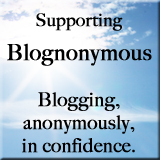 I could easily spend hours each day checking on everyone, commenting, responding to comments on my own blog. It was like a full time job all on it’s own. But boy, those were some great times. For some reason, I suddenly thought about you and checked this site as I haven’t heard from you in a while. I was led instantly back to this post which I so needed to hear! I had already ‘liked’ it the first time but only now leaving my thoughts especially as they reflect my present state of mind/being. Oh, I SO GET that and GET YOU, dear <3 ! Connection, it’s what we long for, isn’t it. The kind that doesn’t walk away when the going gets tough or walks away because, somehow, you are no longer who they want. It’s a minefield, too often.